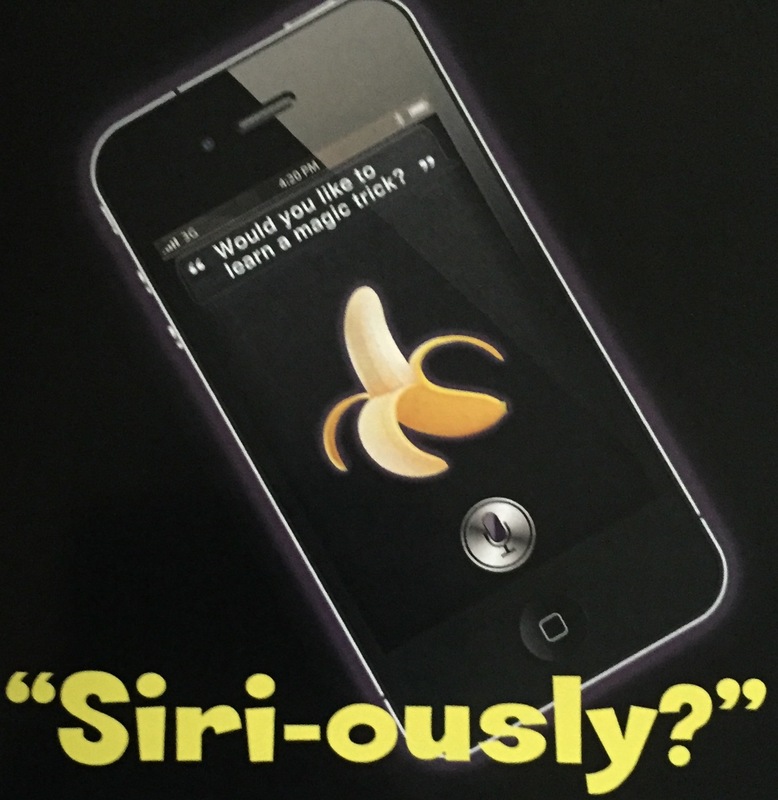 Imagine in the middle of the show your iPhones’ “Siri” begins to question if you would like to learn a magic trick. After some brief banter between the two of you, she begins to teach you the vanishing bandana trick. The confusion plot of a banana mistaken for a bandana has been around for many years but this version brings this time-tested routine up-to-date in a way that will capture an audience’s attention unlike any other version.